Job hunting can be very tough, more if you are doing it manually walking from one office to the other. Employees also get rough time trying to get that right candidate for the vacant position. 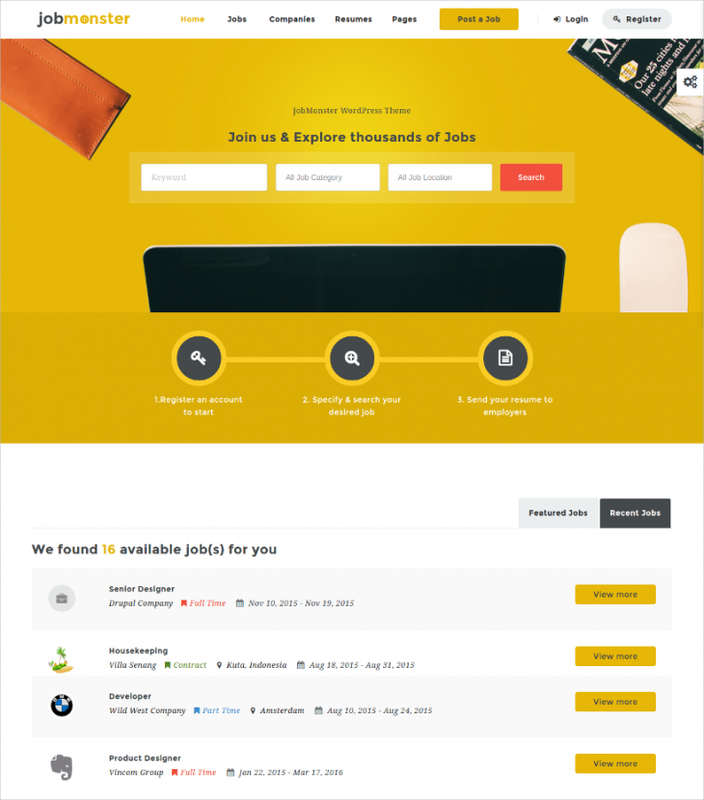 WordPress Job Board Theme is answering all jobs search related issues in one stop site, the WordPress Job Board Themes. This may be of great help to you and reduce your time of job searching, check out the following themes. This is a template that the programmers had customers interest at heart when designing, the features are just amazing. Live chart option provides a quick and accurate response to any question that a visitor may have, it also has parallax scrolling and it can also auto update. 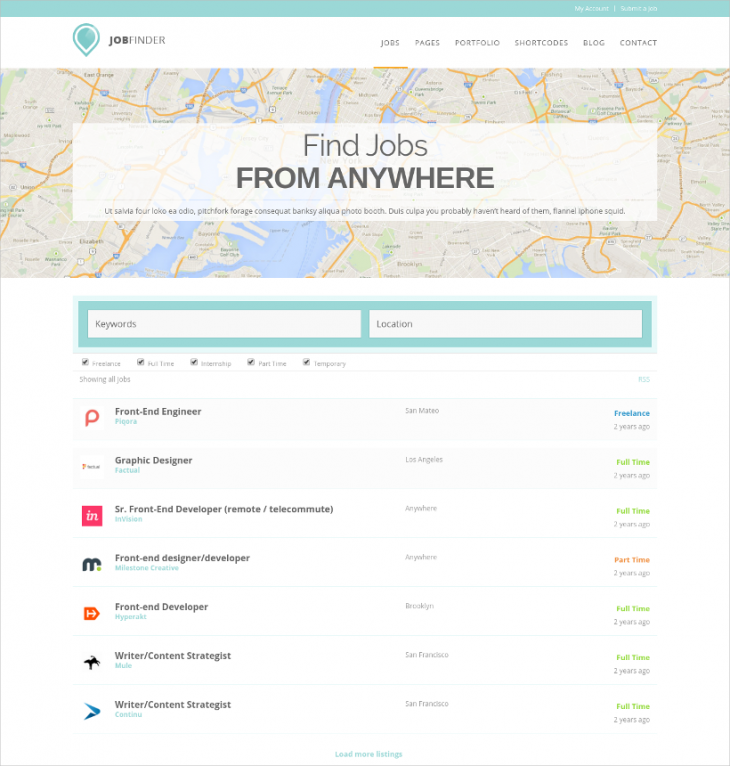 The most amazing feature is how easy you can post a job offer and manage it in few steps. 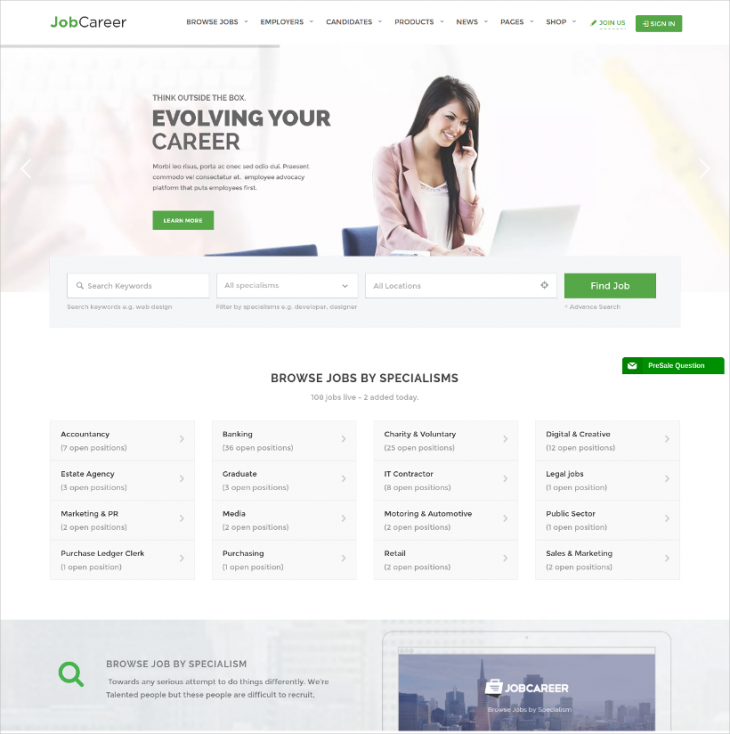 This theme has made job search and searching for employees very simple, the homepage can easily be customized. 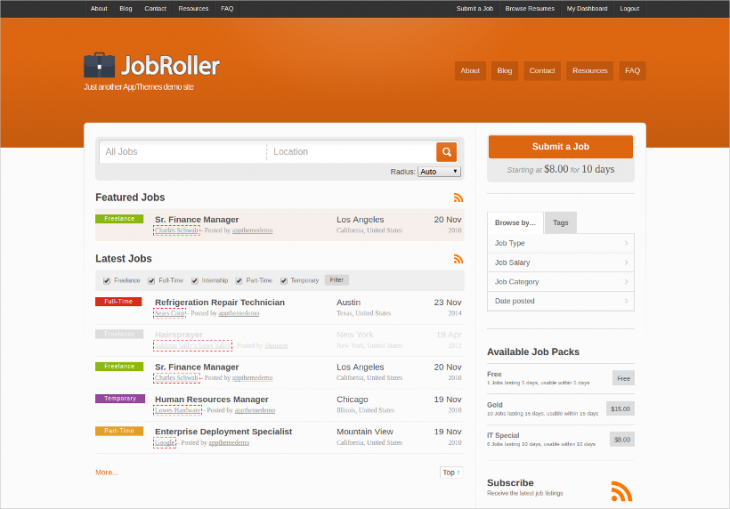 Job seekers are able to upload their resumes and fill in all their required details in the theme. 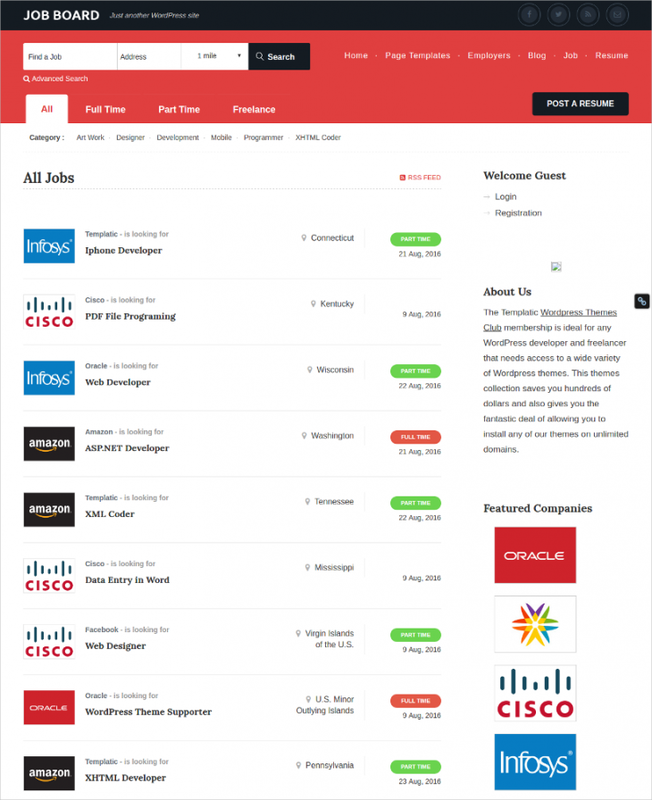 This wonderful theme has so many supported extensions like job alerts, indeed integration, stats and much more. Having this theme in your website is so easy and takes only a few steps to have it running and functional. This theme is a good meeting point between employer and job seekers to hookup. Job seekers can register and then go ahead to post their resumes. If you need an employ you will have the opportunity of selecting the best candidate considering their resumes. With additional plugins, you can do unlimited operations on your website. 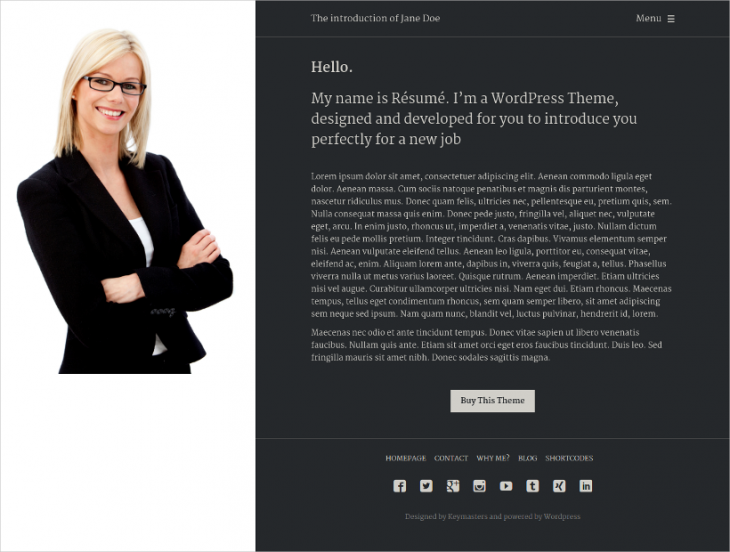 With WordPress job posting template you can easily have a comprehensive and user-friendly job listing website. 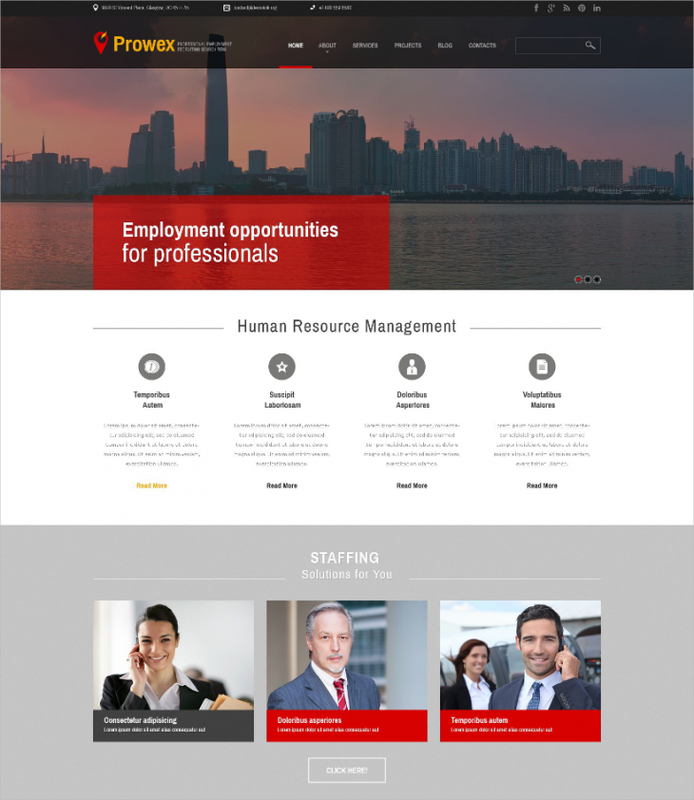 This template is responsive and it can be used to carry out operations on recruitment and human resource management easily. 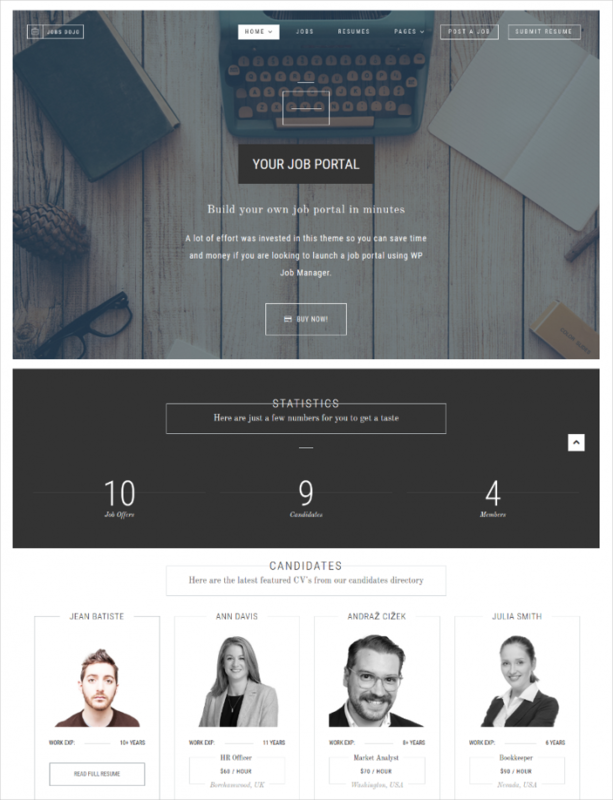 This is the best simple template to use as a recruitment agency. 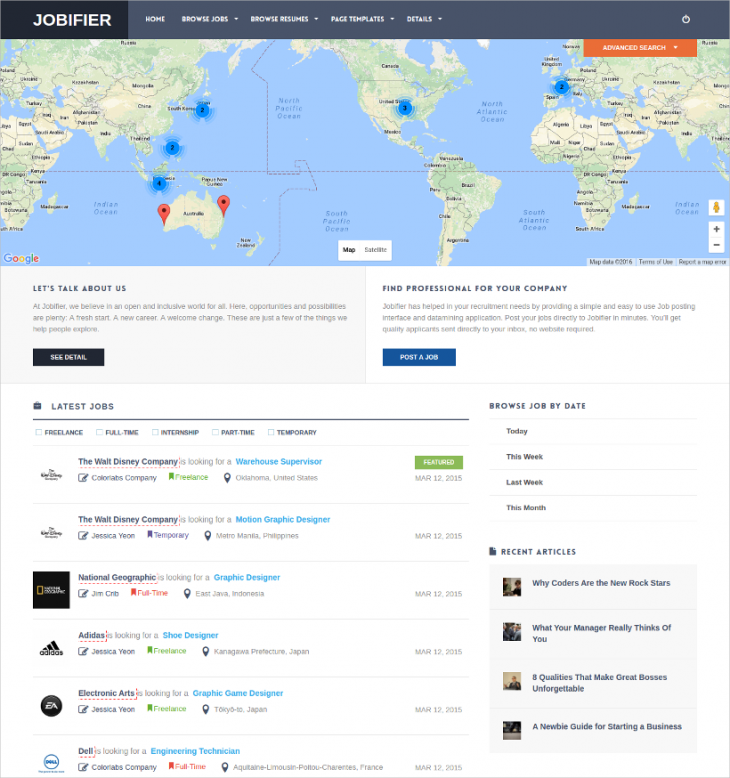 This template has all the features that you need to do recruitment. The presence of wonderful features like auto-update, cherry frame, widget-ready, great Google fonts, contact form, and parallax scrolling among many more features makes the theme user-friendly and very responsive. This theme has all great and new features; the theme has a responsive design that makes it fit on any screen. Here employees and employers needs are fully meet because the theme put into considerations all that you need to post a job and all that the employer need to hire. It is easy to install and customize. This is a responsive, SEO Optimized and supports a number of plugins. 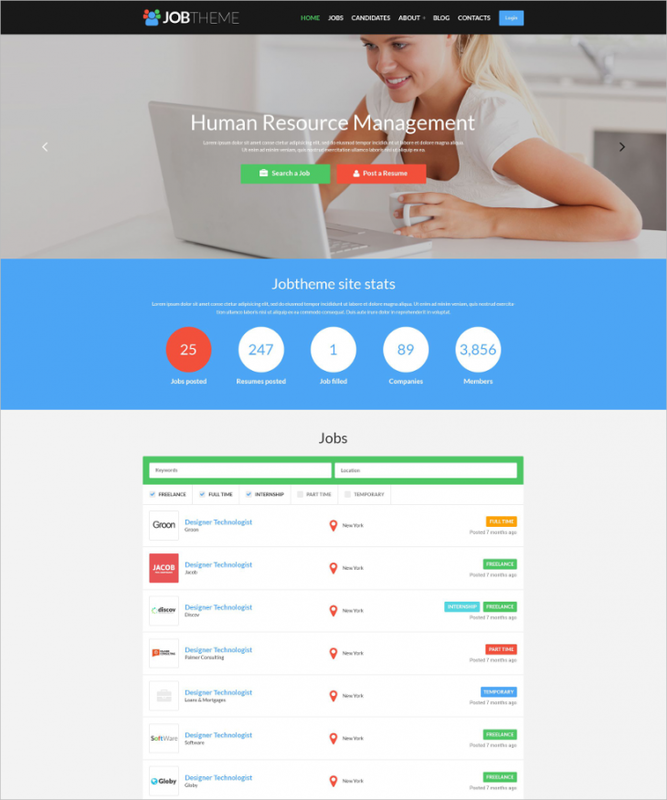 This template has a resume manager, is retina ready, sidebar manager and many more features that make it user-friendly. 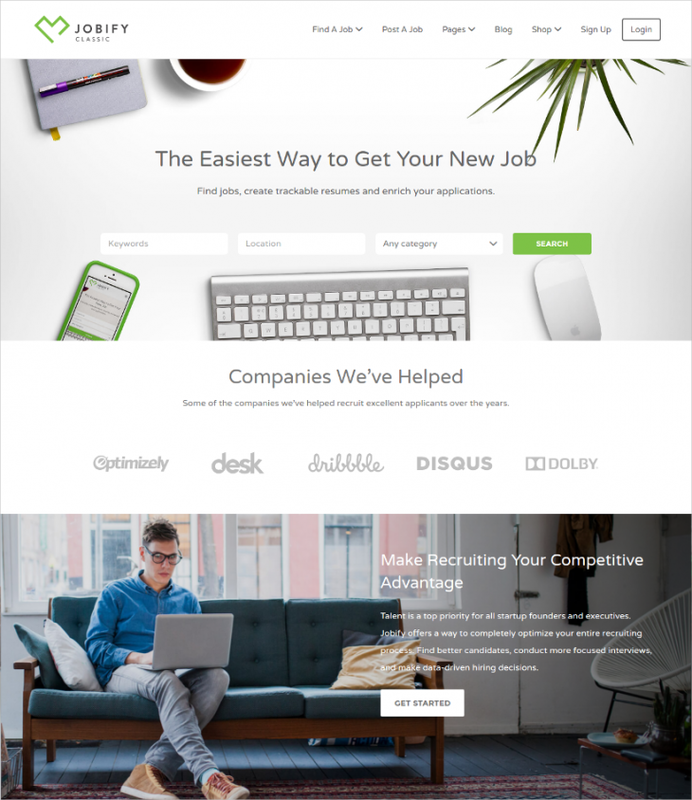 This is an easy-to-use template that has both job offer and submission in the front-end. It has payment options ready and also has clean code, beautiful design, customizable colors and fonts and many more features, it is also user-friendly. This template is one which is easily editable, fully responsive, multilingual ready and parallax effects. This theme has nice color combination, and highly responsive and ideal for professional. The theme is responsive, clean and modern. 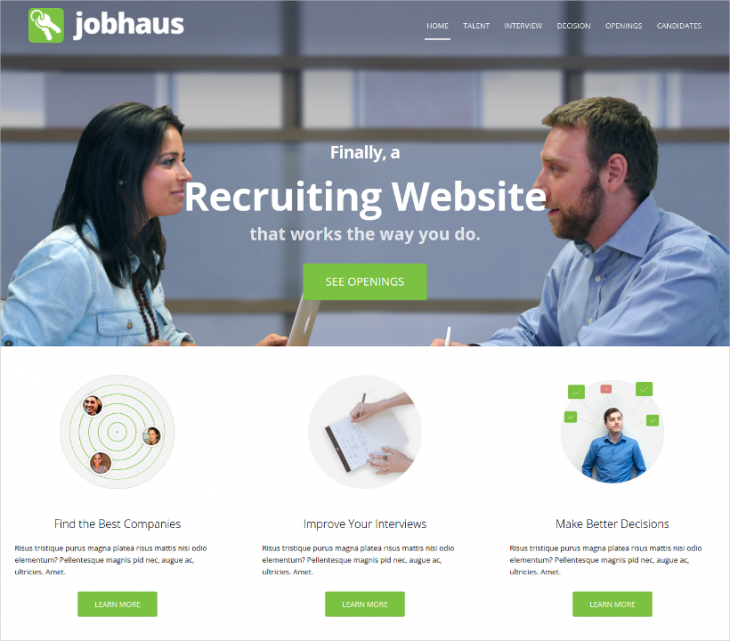 It has a beautiful design, page layout builder, parallax side show, WP job manager and resumes manager. It is customizable and user-friendly, you try it for quick and perfect work. 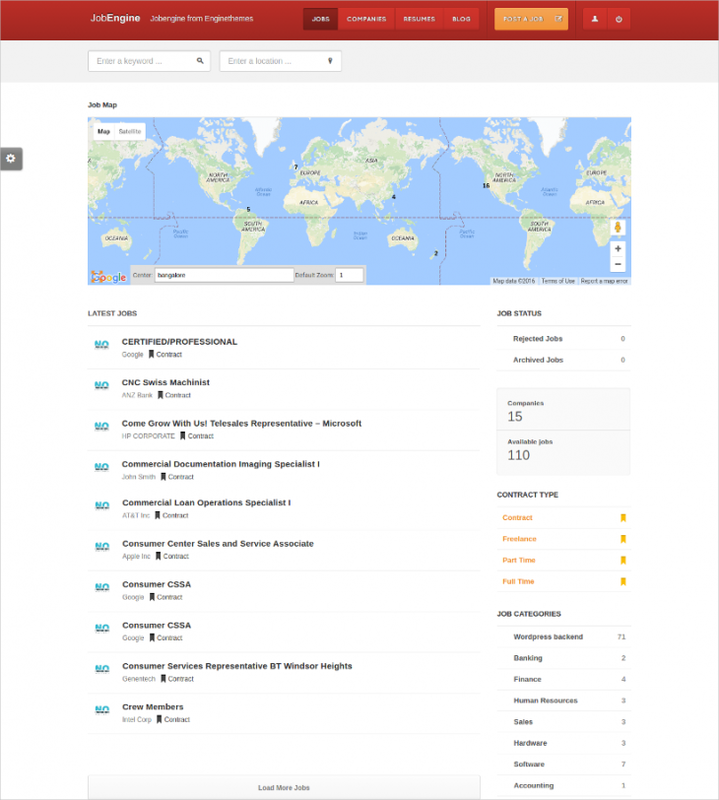 WordPress Job Board Themes is the solution to your headache about doing recruitment. These templates are designed by professionals that really care about you. Try this themes and templates from use and get the best experience.